Every year, the people of Thailand celebrate the Nine Emperor Gods Festival, or the Vegetarian Food Festival, Tesagan Jin Jay. This festival begins on the 15th day of the waning of the 10th month of the Thai lunar calendar. 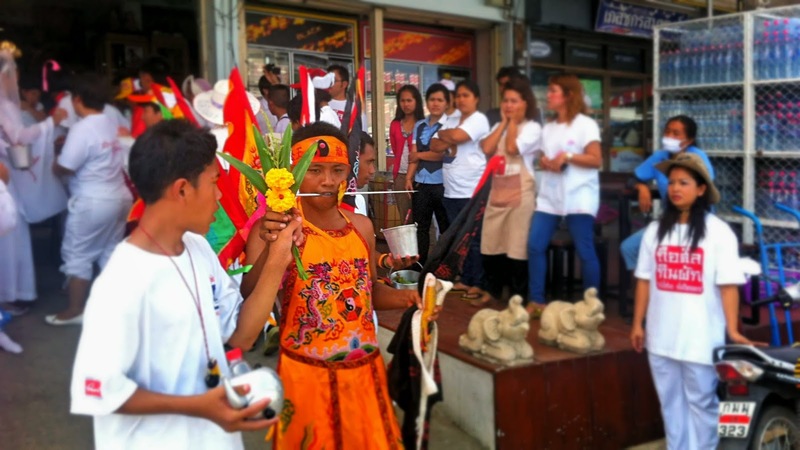 During Jay, many unusual religious rituals are performed. It can occur during the months of September or October in any given year. This year, it starts on September 24 and will last for nine days. 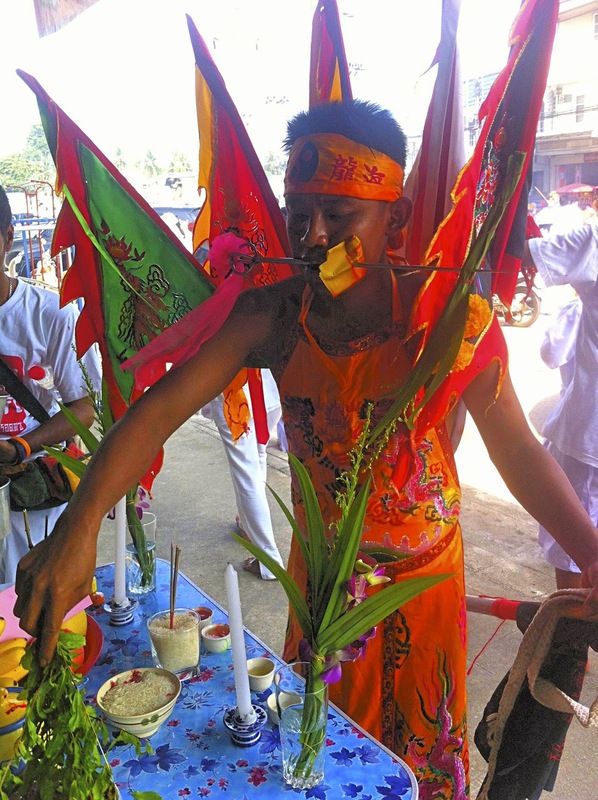 Religious devotees perform ritualized mutilation upon themselves. Many Thai people observe this vegetarian festival, even if they do not eat vegetarian food throughout the rest of the year. 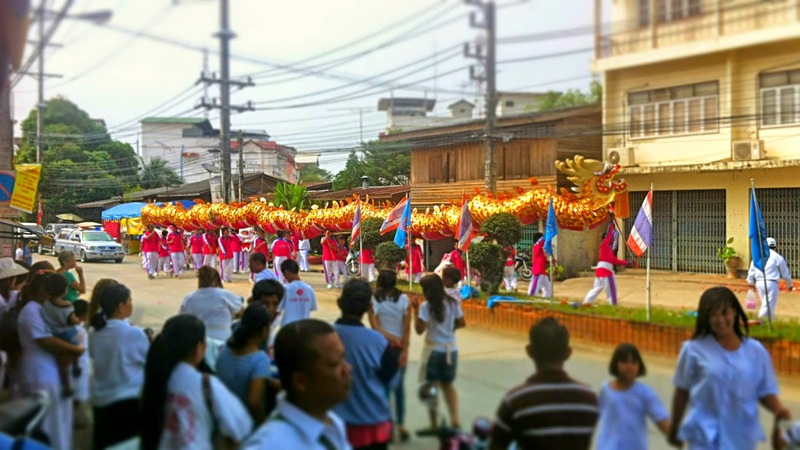 During this festival, some Thai people practice Jay. The word Jay is taken from Chinese Mahayana Buddhism, and it means eight precepts observance. One of the eight precepts is the avoidance of eating any animal meat during the vegetarian festival. Paling through cheeks, etc., with everything from as small as syringes to as large as is agreed upon between all members. When a Thai person practices Jay, they also keep up a high moral standard of good deeds in their action, words, and thoughts. Thai people have a saying for this Jay eating and religious precept observance, which is "Tesagan Jin Jay", or hold the precepts, eat Jay. 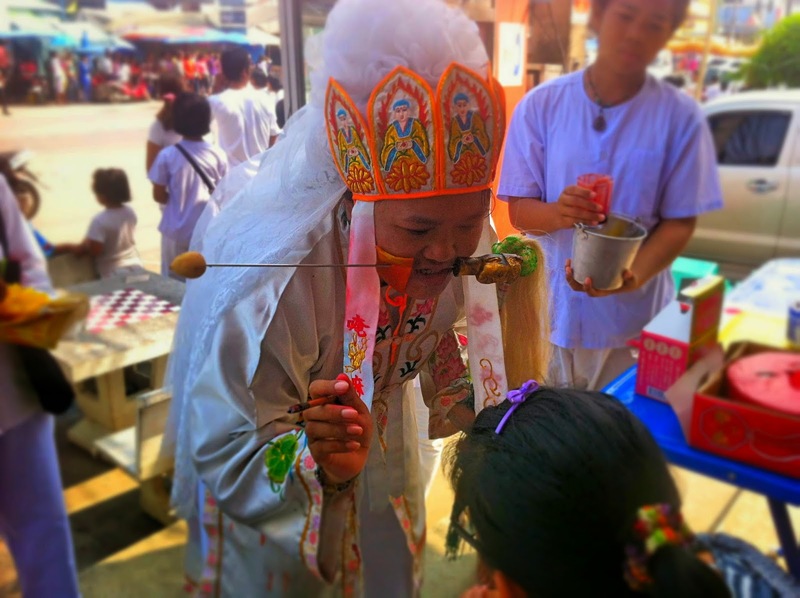 During the festival, Thai people practicing Jay must keep their body clean, keep their eating utensils clean. Parades usually start at 9 minutes past the hour, disrupting all traffic. 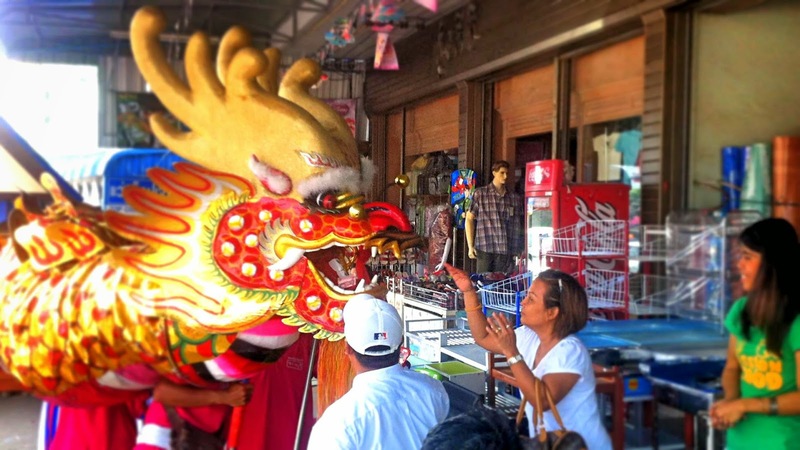 The festival is popular throughout Thailand, and especially in areas with large populations of Chinese immigrants, such as Bangkok, Chiang Mai, Hat Yai or even small town Bang Saphan. Tambun, donates have do be done.